The Freight Transport Association (FTA) has suggested proposals to ban long stretches of roadworks on the UK's motorways network could have significant benefits for all road users, not least of which would be the nation's logistics providers. First outlined by transport secretary Patrick McLoughlin, any decision to implement a moratorium on roadworks stretching for miles and miles along the UK's major trunk routes would provide a considerable boost to all travellers. Malcolm Bingham, FTA head of road network management policy, said: "Long stretches of roadworks create a series of problems for our members – it's an issue that they constantly complain about. "We know that for the largest vehicles it costs £1 for every minute they're stuck in traffic. 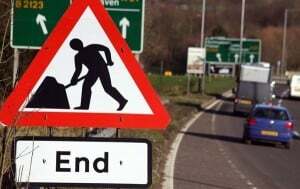 "Limiting roadworks to two-mile stretches could considerably reduce the time they're delayed. Nose-to-tail shunts are more prevalent in queues of slow moving traffic too, so hopefully this will also cut the number of accidents in roadworks." At present, the longest section of continual roadworks in the UK runs for 18 miles along the M1 near Chesterfield between junctions 28 and 31. However, under the new proposals, the congestion caused by these works would be unacceptable and therefore Highways England engineers would be required to carry out the work in small phases, thereby limiting the impact of projects on travellers.